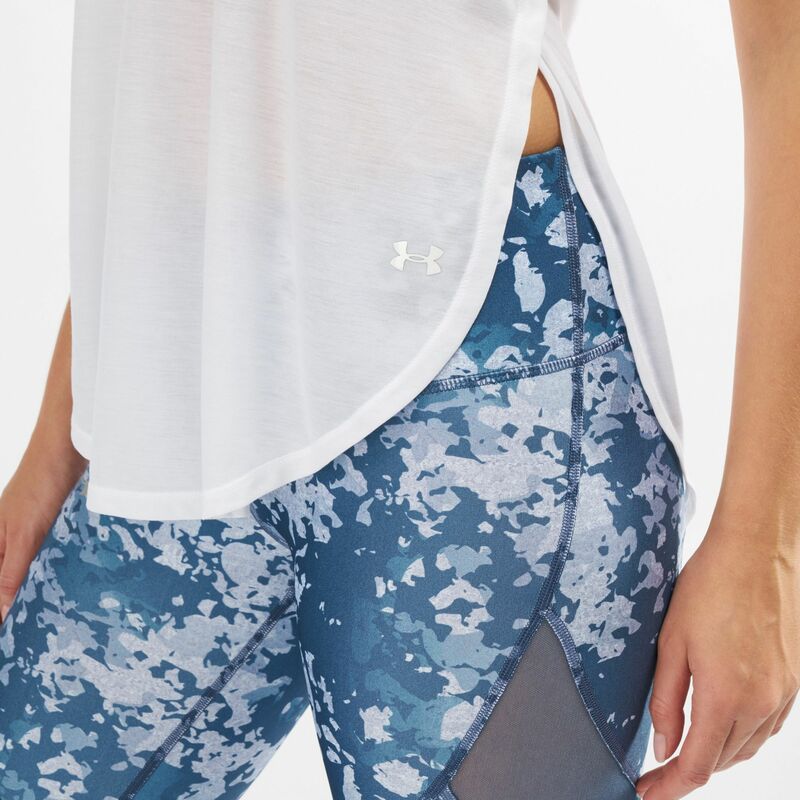 Breathe in and out with the Under Armour Breathe Studio Tank Top for women. The sleeveless top has a loose fit with open cut out back and dropped hem. It has a 4-way construction and wicks sweat fast for lasting comfort.